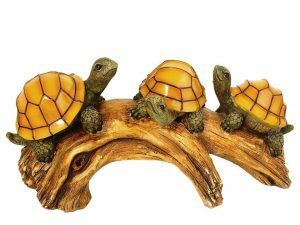 - Great for any turtle lover. - Solar fixture charges by day in the sunlight. - Amber LED lights automatically glow at night. - Made of durable polyresin. - Rechargeable AA nice battery (included).